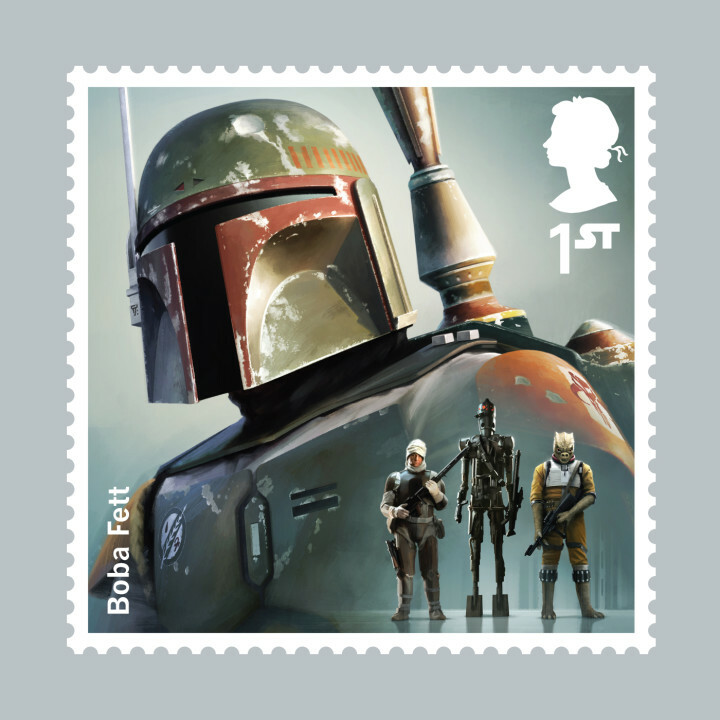 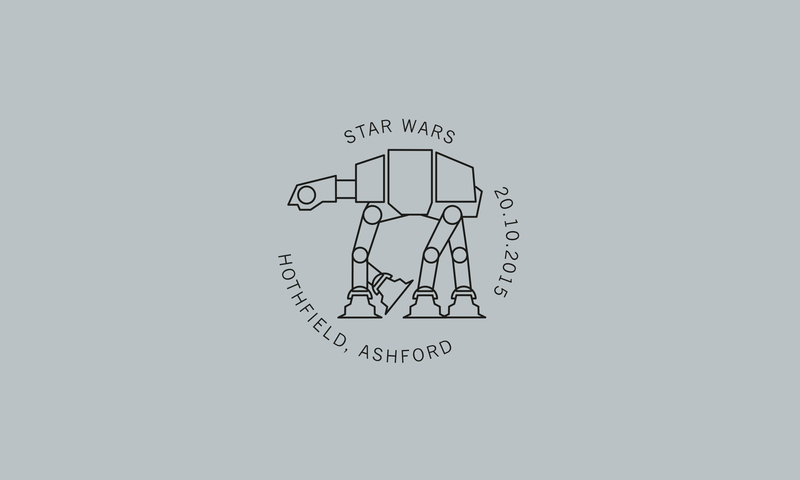 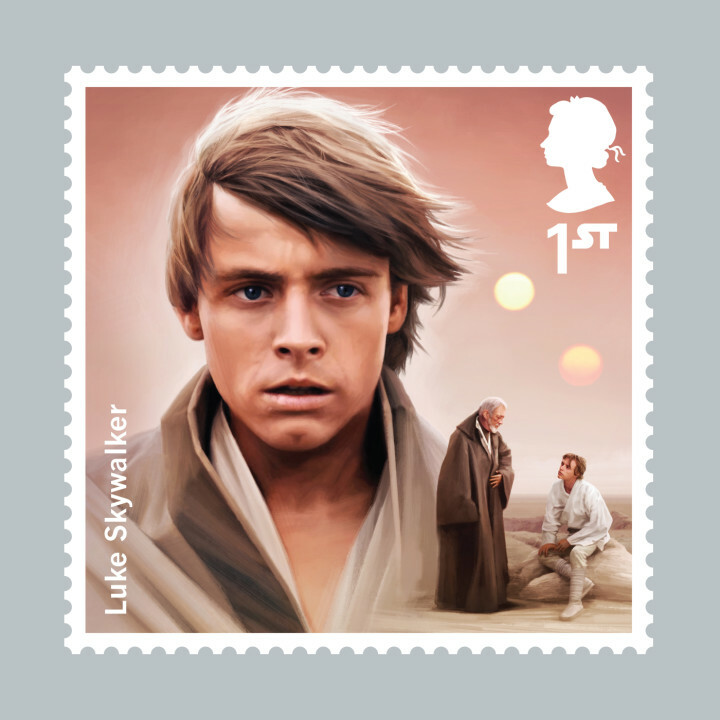 Royal Mail commissioned us to create a set of 12 special stamps and collectibles celebrating the characters who inhabit the world of Star Wars. 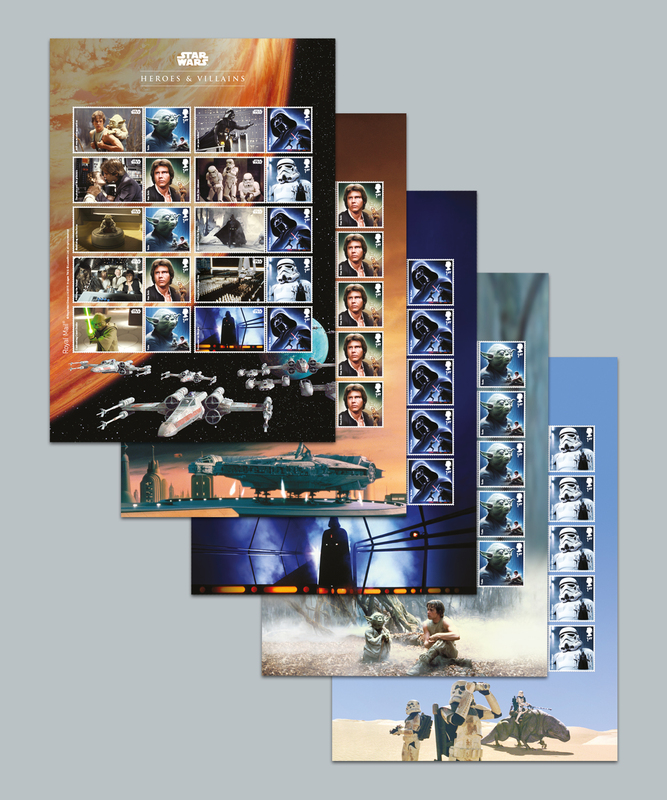 We drew inspiration for the set from the collage-style posters and classic visual language of Star Wars – honouring that tradition whilst creating contemporary images. 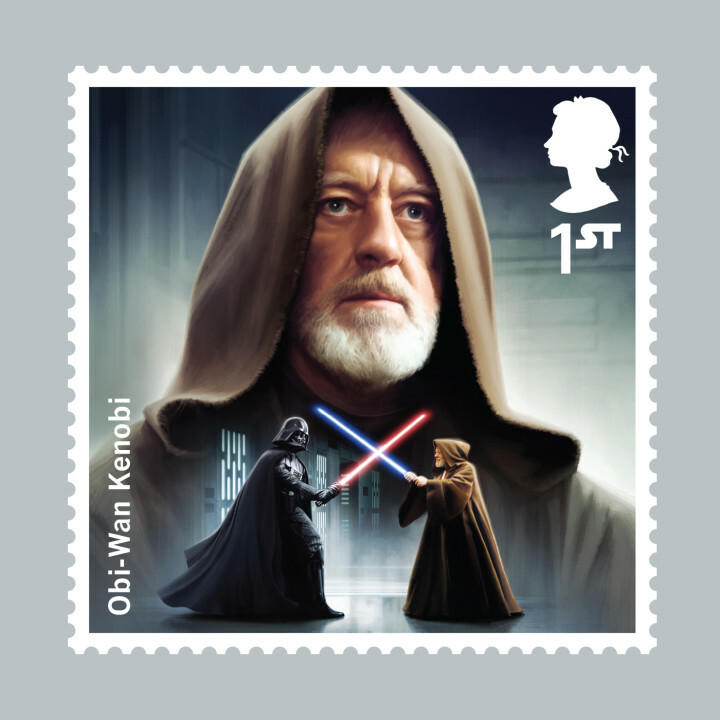 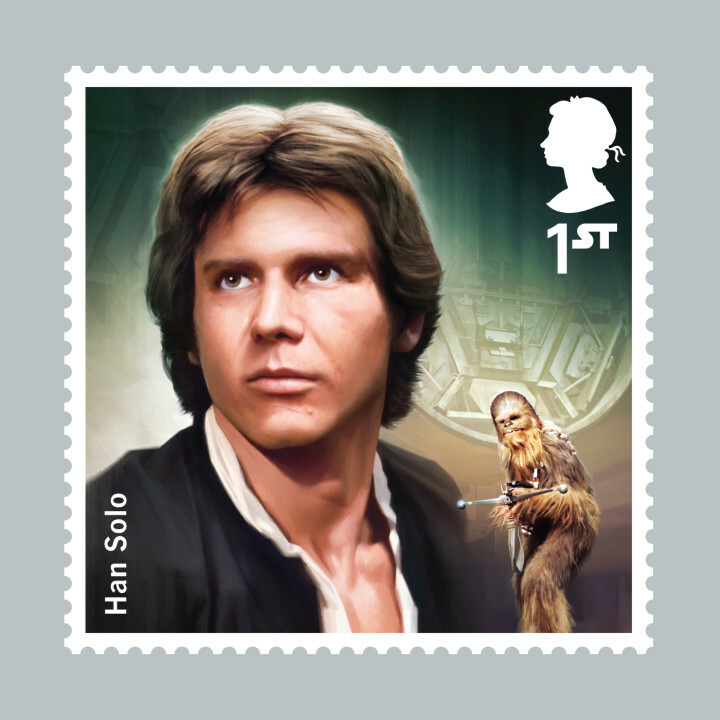 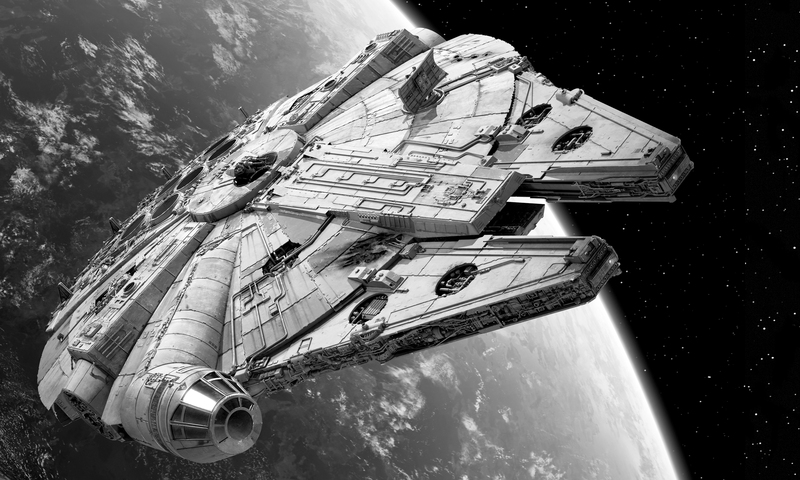 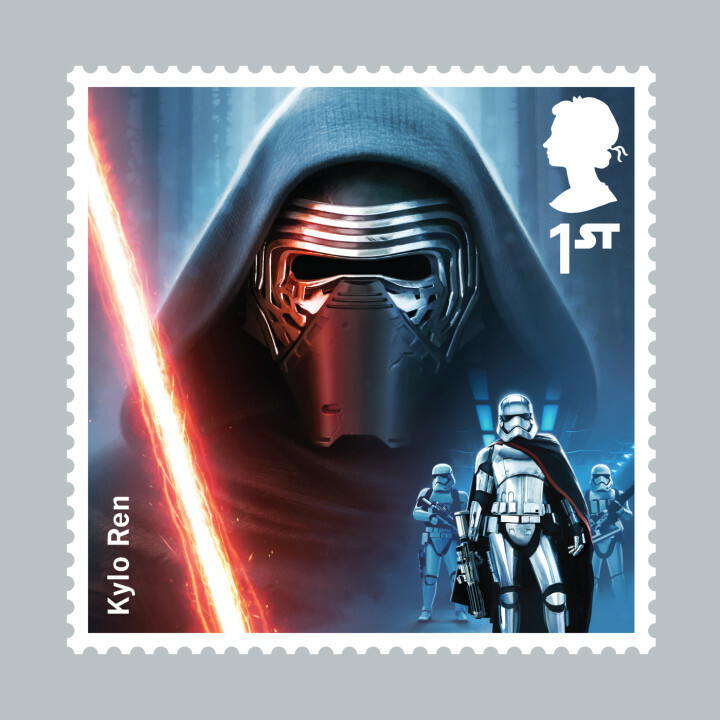 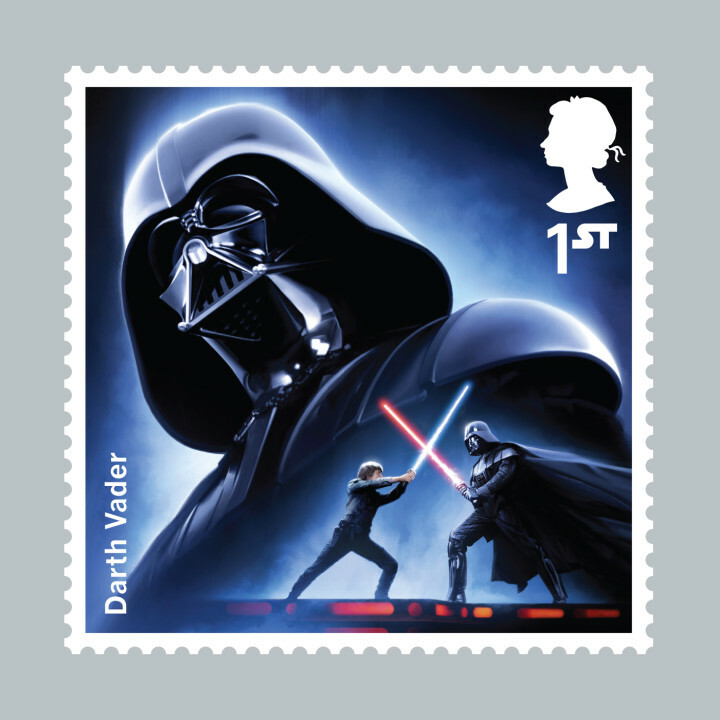 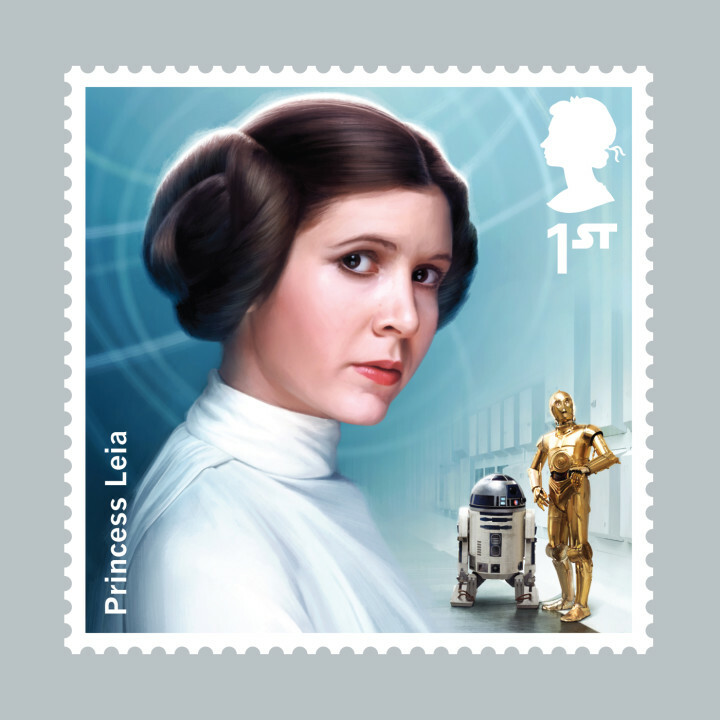 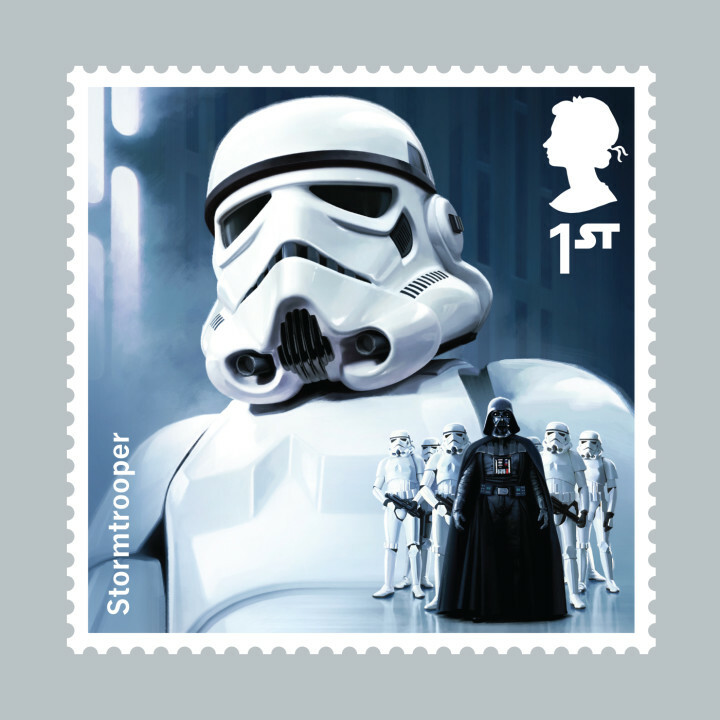 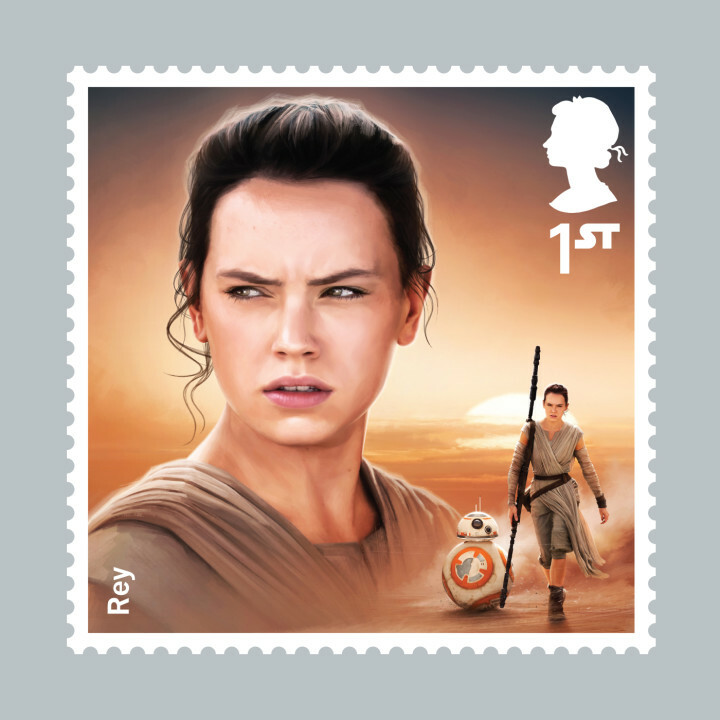 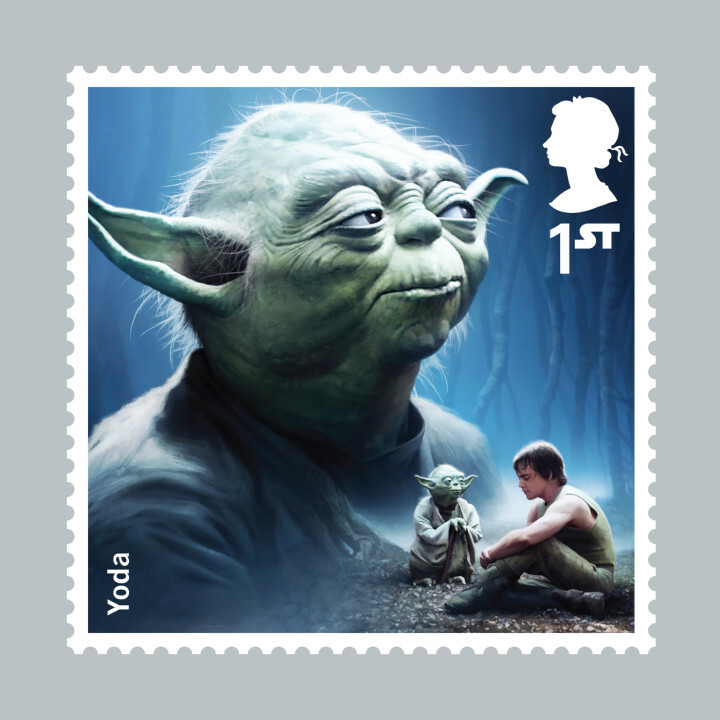 The Royal Mail’s new Star Wars stamps are out of this world. 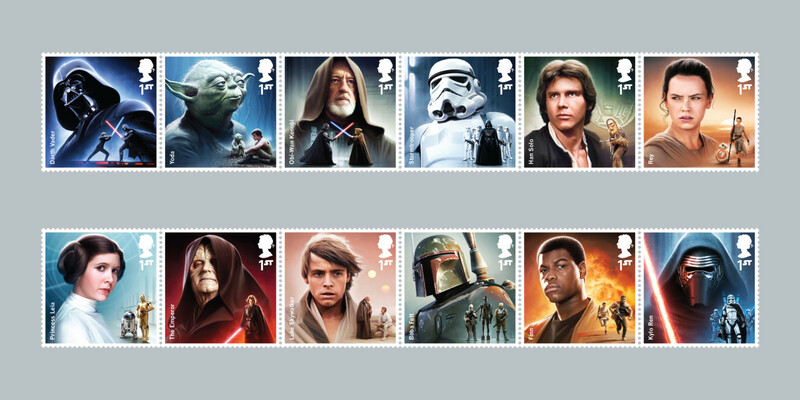 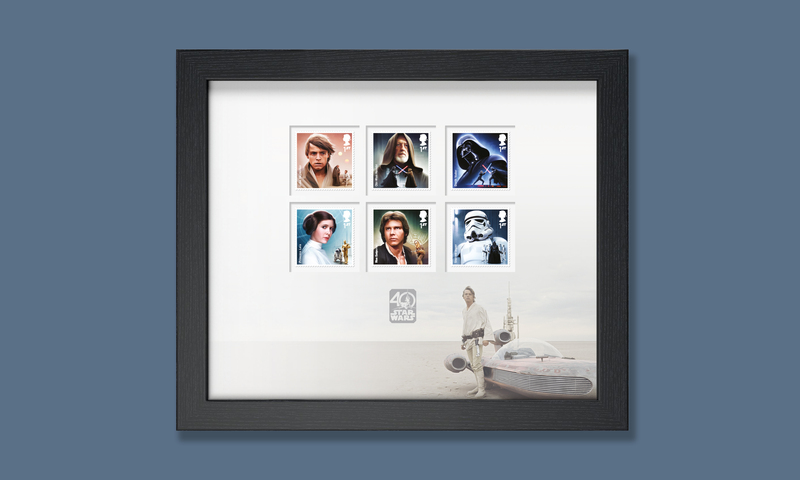 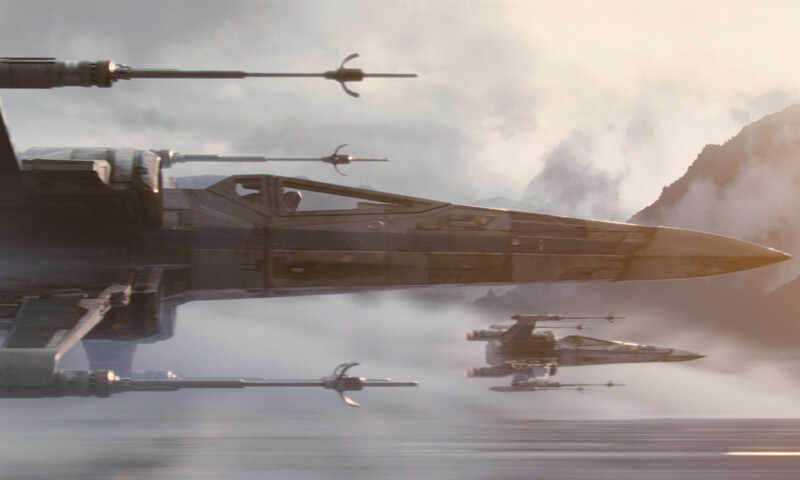 New Star Wars stamps are absolutely Force Class – love them you will. 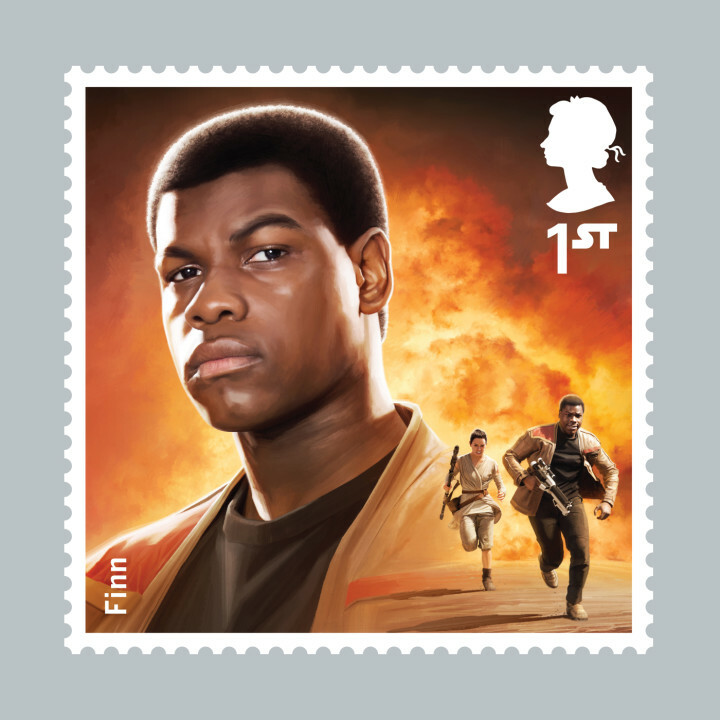 Each stamp contains a large, heroic head-and-shoulders portrait, combined with a smaller ‘story corner’, depicting a pivotal scene relevant to the character. 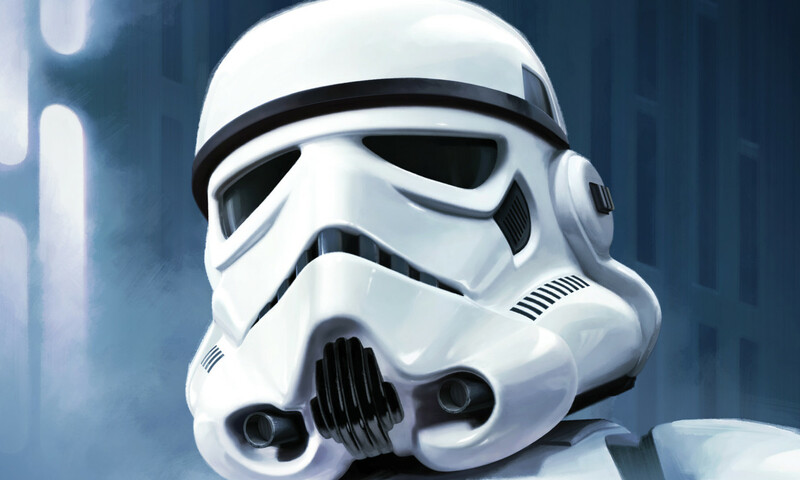 After meticulously selecting the best possible images to create dynamic compositions, we brought in digital artist Malcolm Tween. 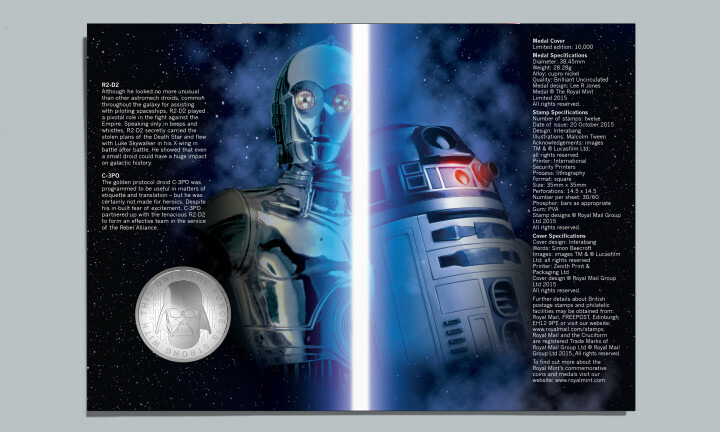 Tween’s technique offers a hyper-realistic feel and helps to seamlessly blend the main images with their backgrounds and unify the set. 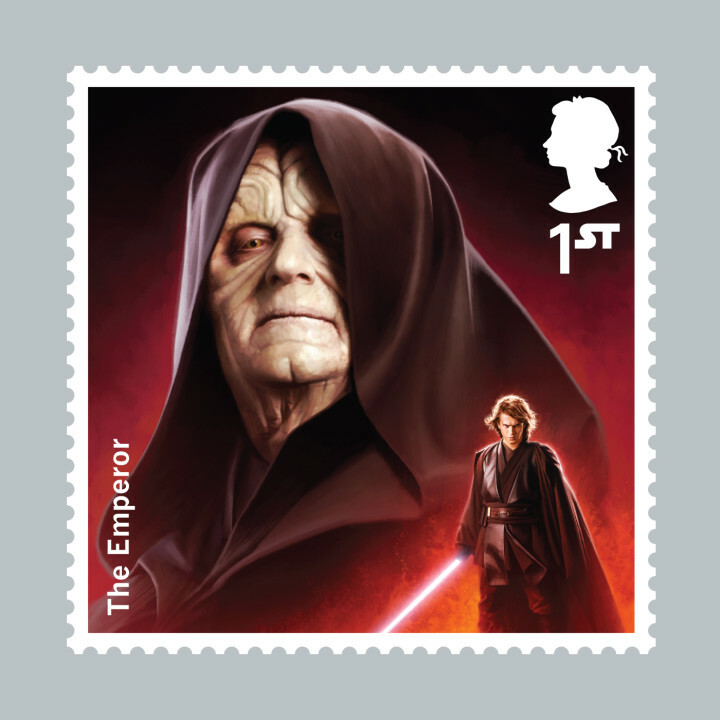 For the first time on a British stamp a special ultraviolet ink was used. 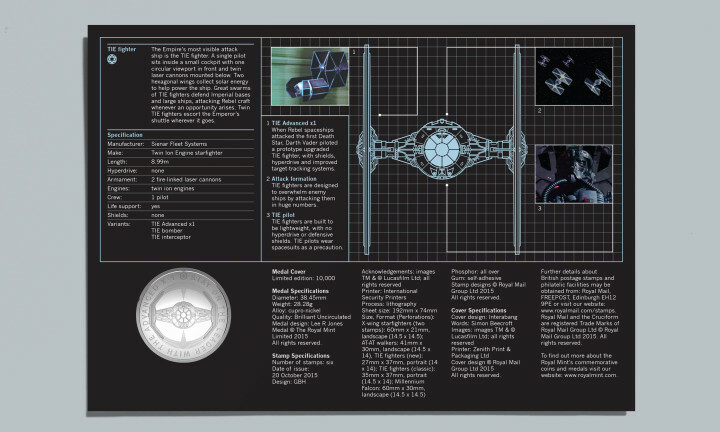 When viewed under UV light secret symbols are revealed, showing the characters’ allegiance – Jedi, Rebel Alliance, The Empire or Bounty Hunter. 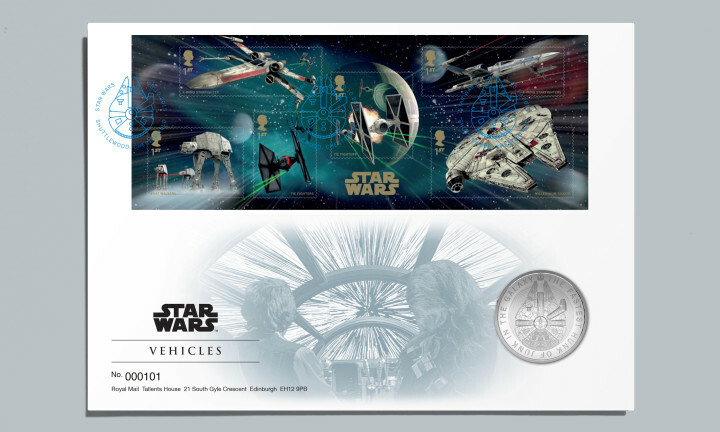 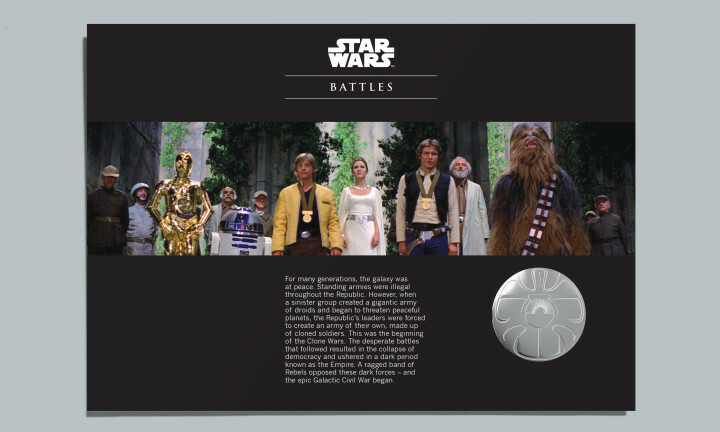 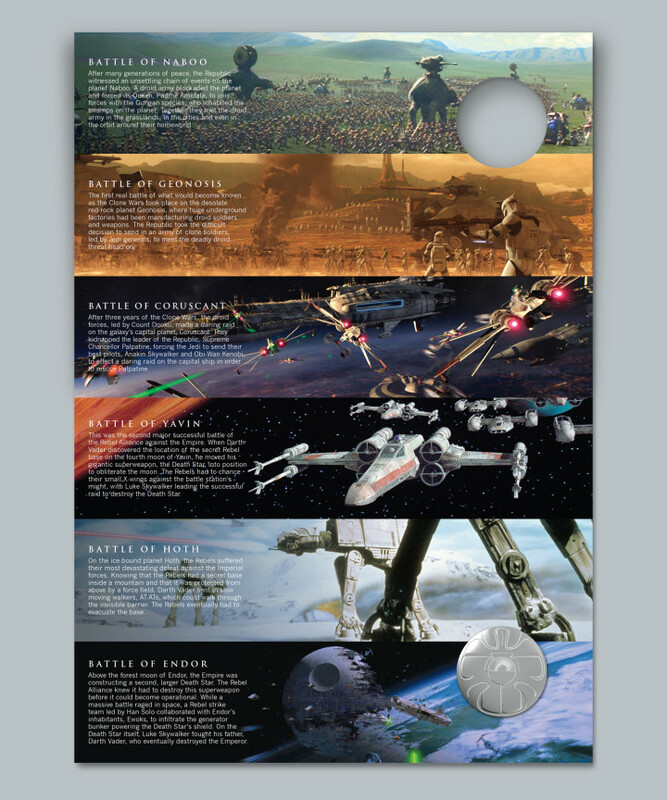 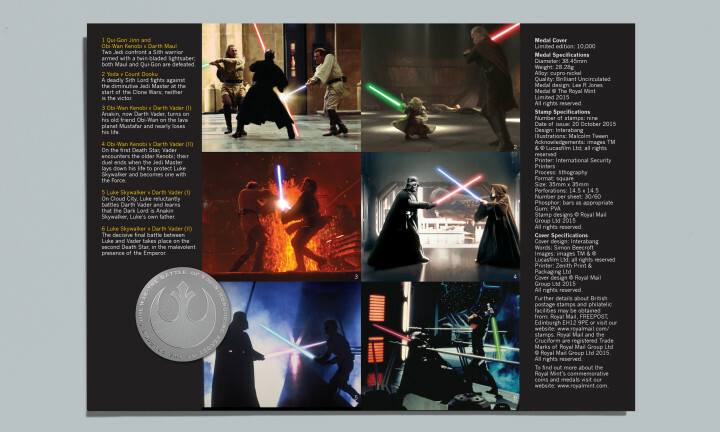 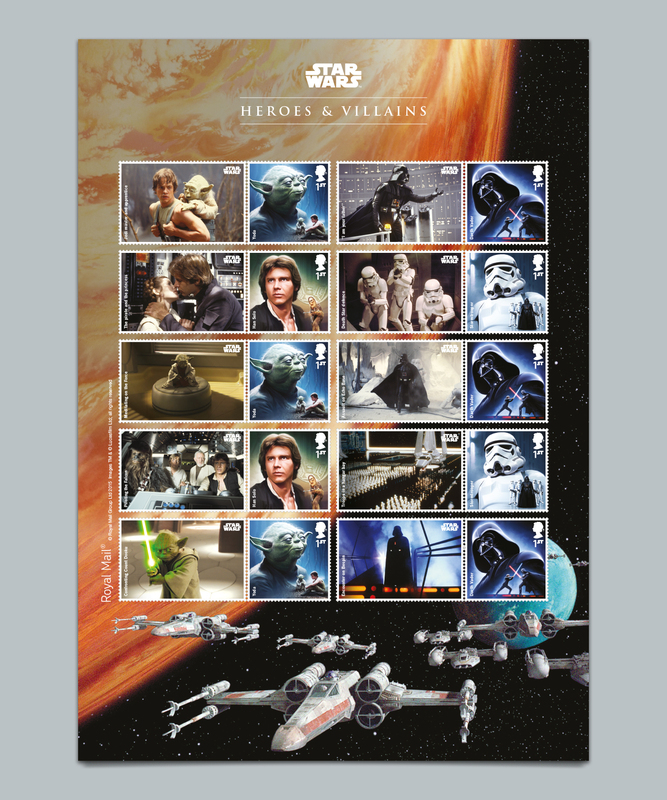 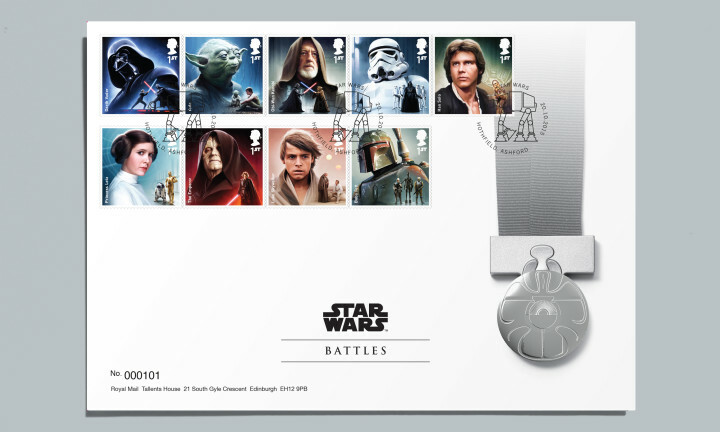 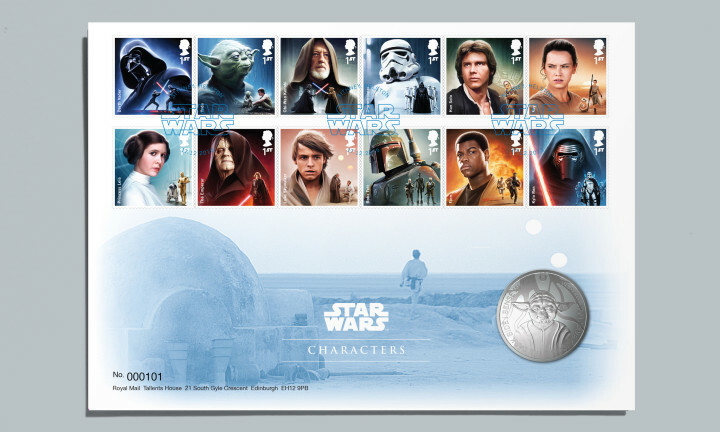 These included three limited edition Medal Covers in conjunction with the Royal Mint covering Battles, Vehicles and Characters, a set of five Collector Sheets and a Prestige Stamp Book exploring the role that Britain has played in the making of the Star Wars saga. 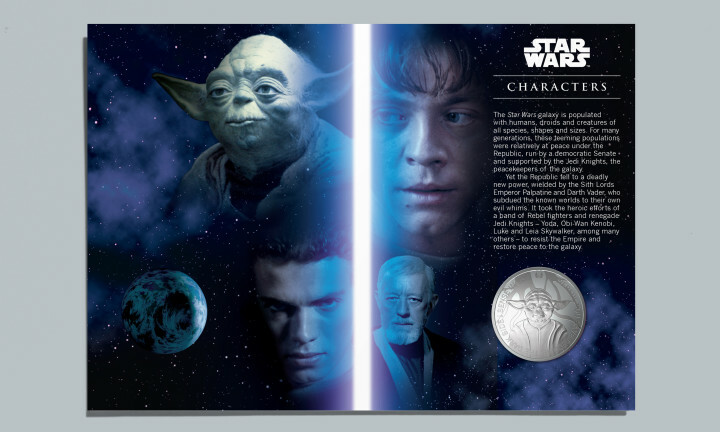 A special edition version of the Prestige Stamp Book was foam-encased, housed in an embossed tin with a UV torch and featured a cover using a combination of mirror and holographic foil. 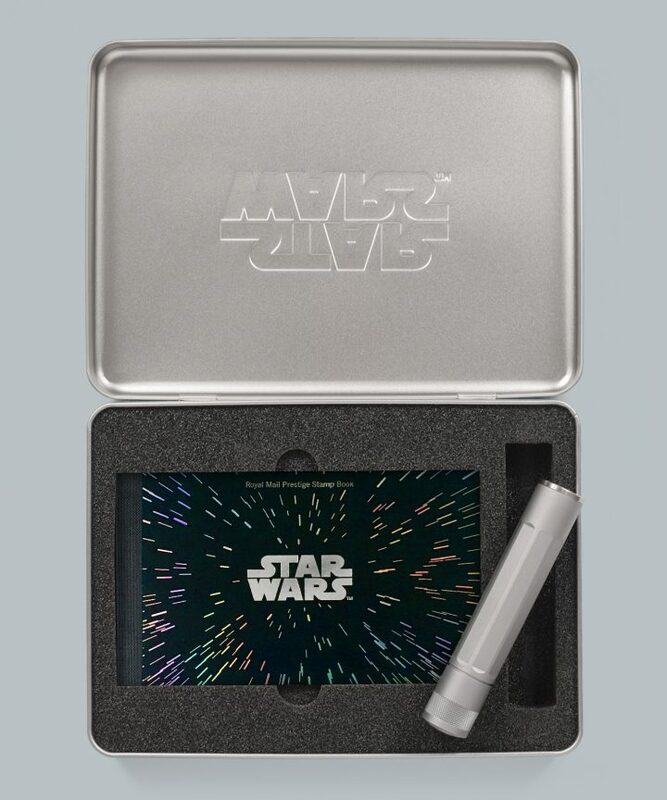 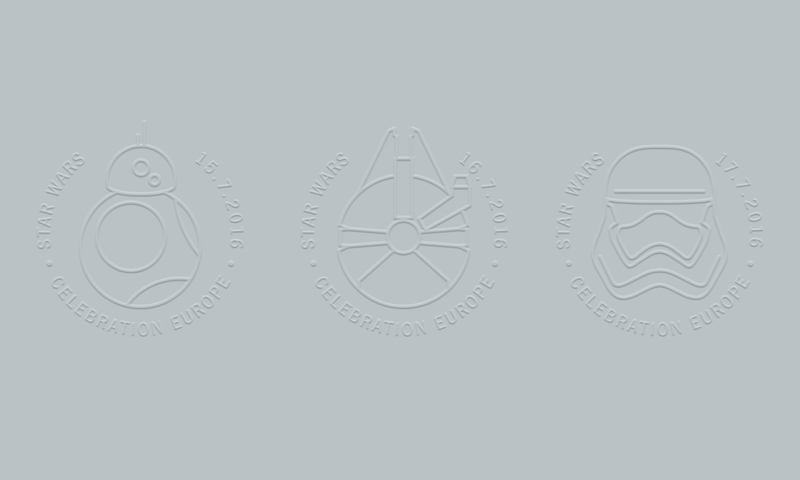 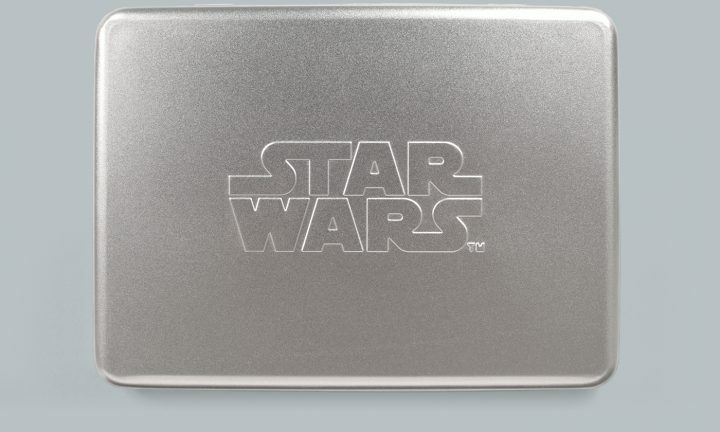 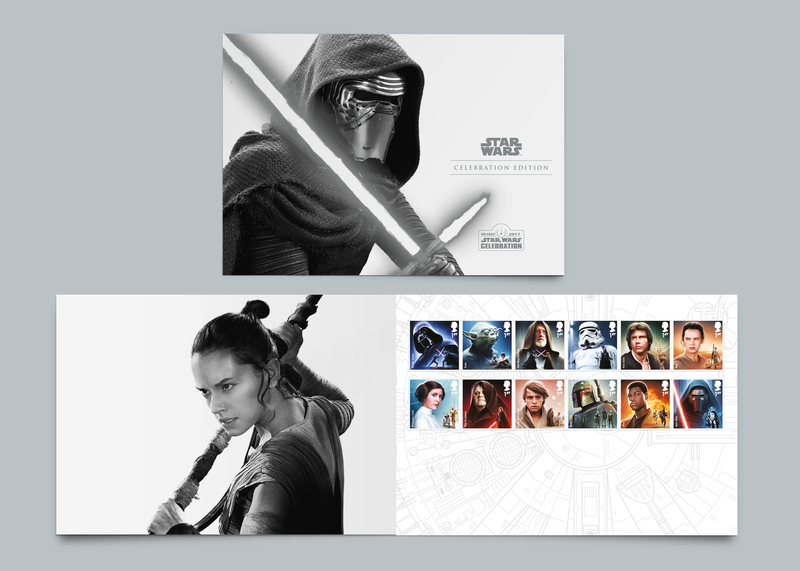 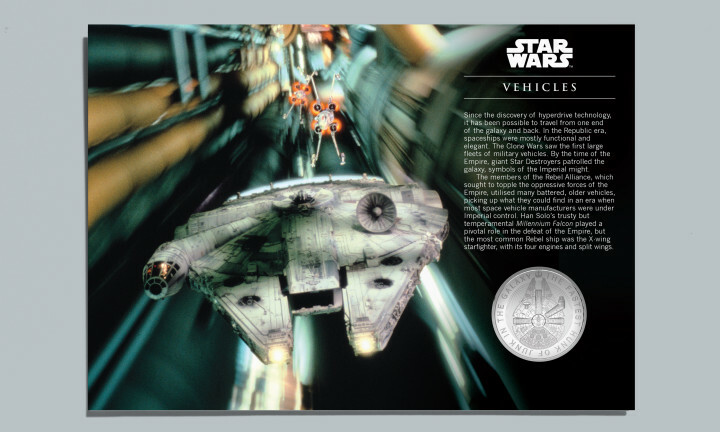 For the three day fan convention Star Wars Celebration Europe we produced three silver printed collector’s folders which were dated with specially designed hand embossing tools at the event. 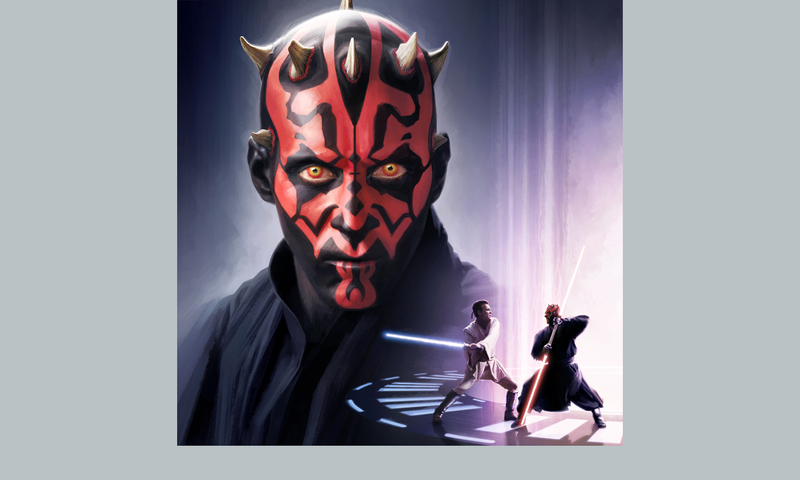 Also available was a print of Darth Maul – an illustration created during the design process of the Star Wars Special Stamp issue. 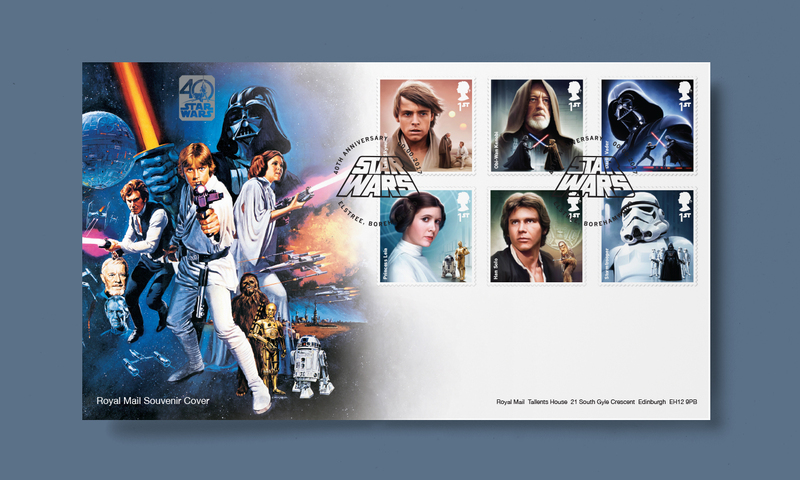 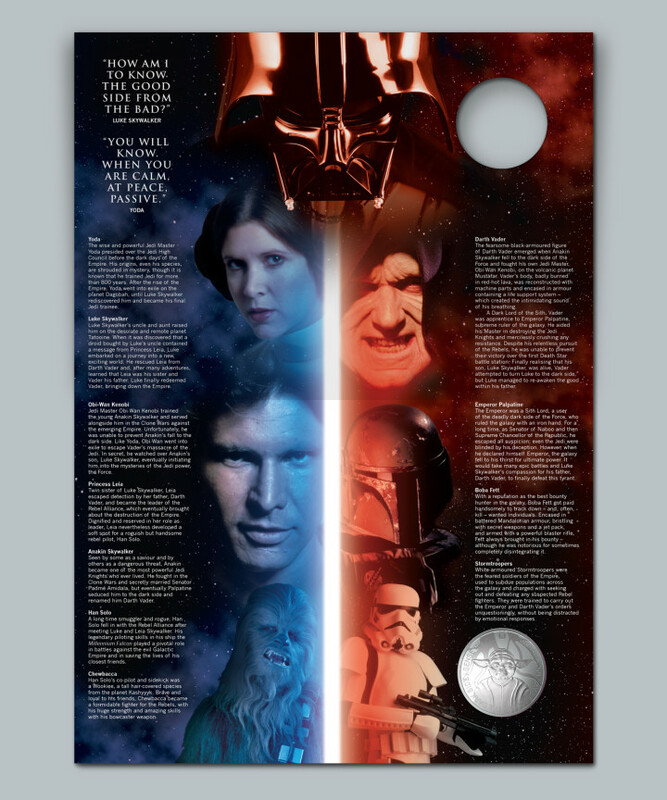 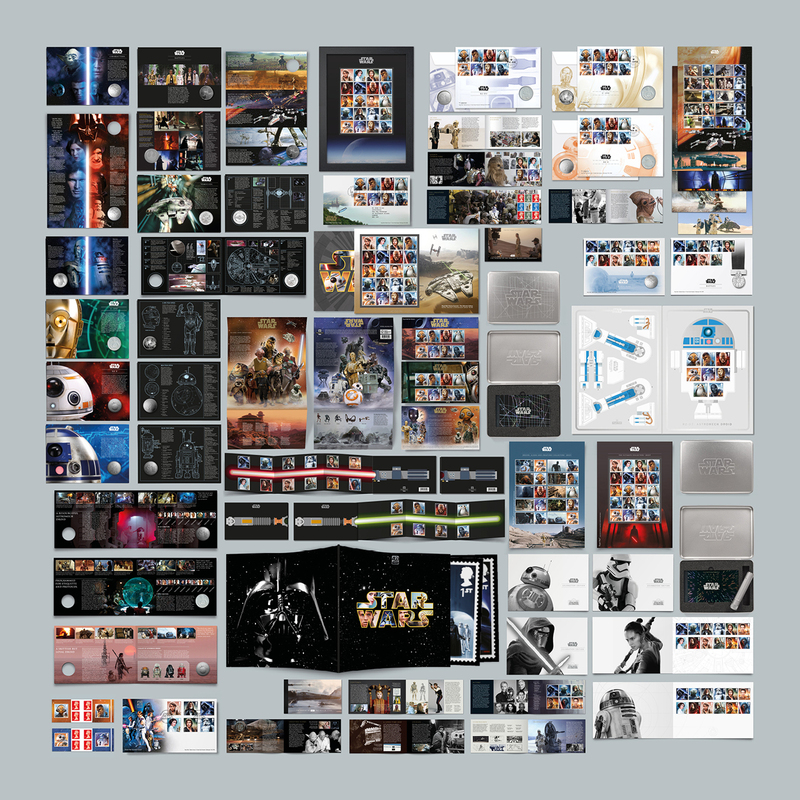 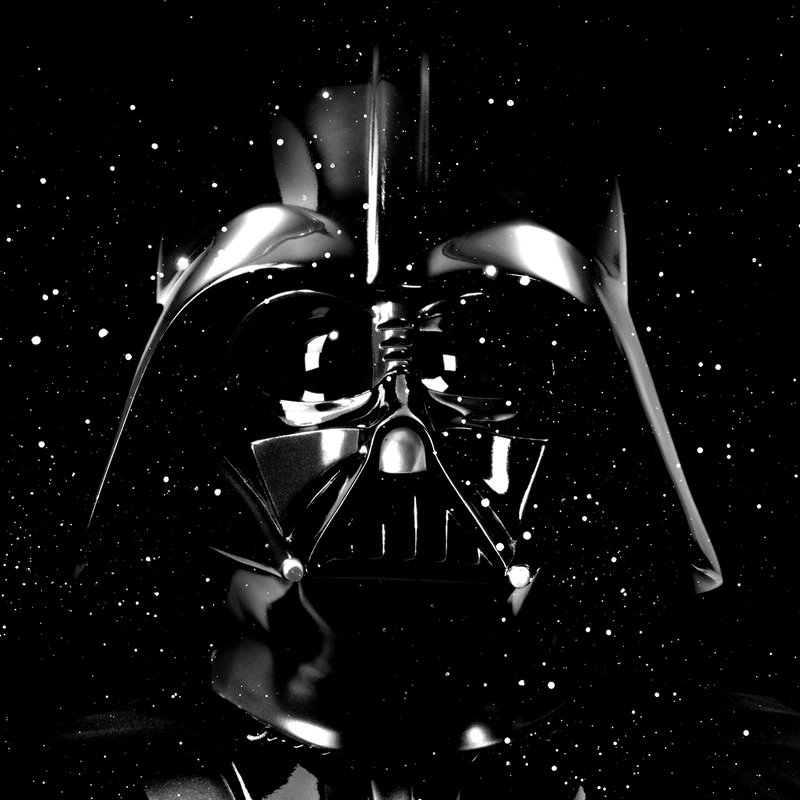 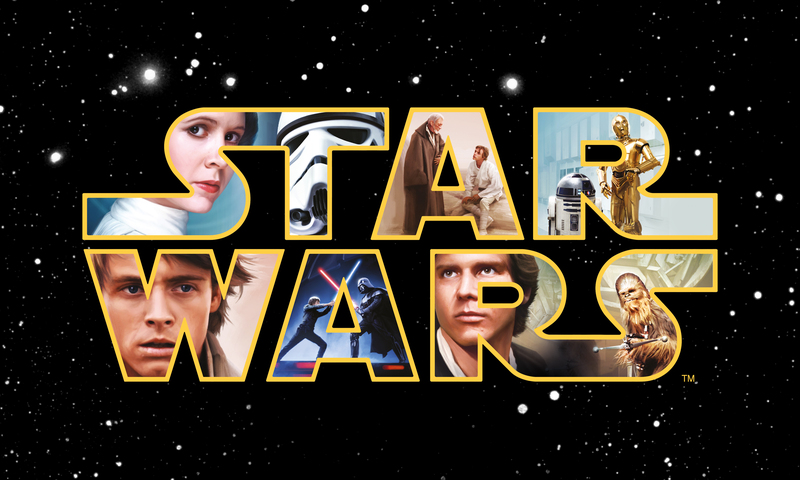 We were also commissioned to produce a collector’s set to celebrate the 40th anniversary of first Star Wars. 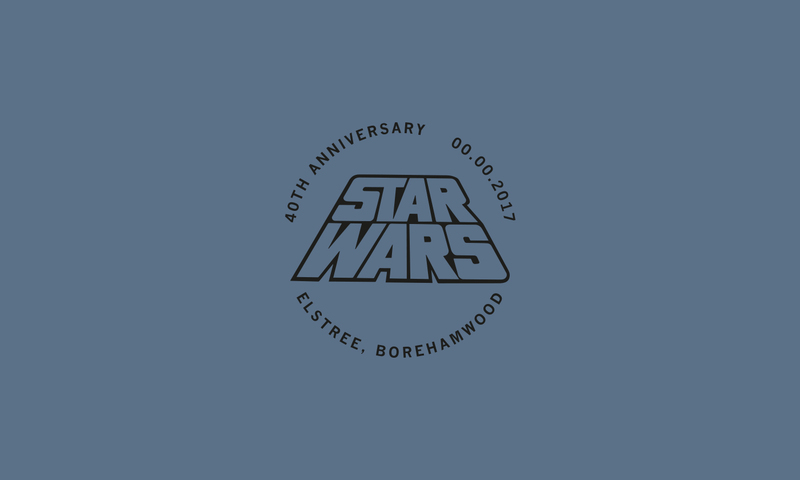 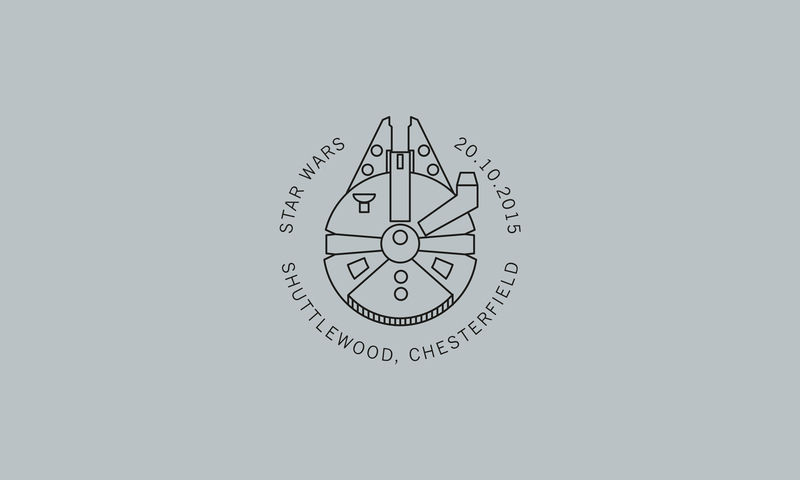 Inspired by vinyl album covers, we created a 12 inch sleeve featuring a bespoke Star Wars logo. 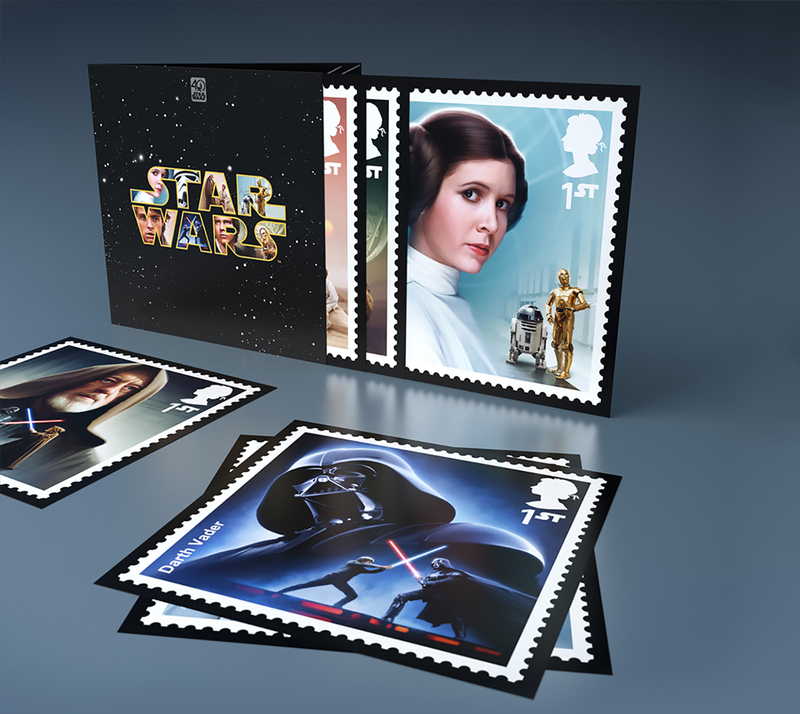 In addition to six original Special Stamps affixed to a presentation card, within the sleeve are six high quality prints so you can enjoy the stamps at album size.